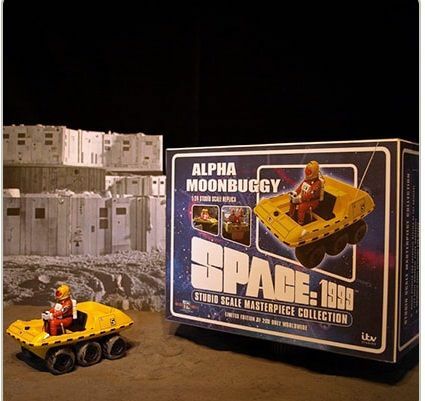 Before the cataclysmic events of September 13th 1999, the primary purpose of the ALPHA MOONBUGGY was the transportation of staff between MOONBASE ALPHA and Nuclear Disposal Area 2 for the monitoring and management of radiation levels. While single driver operation is not unusual, the ALPHA MOONBUGGY is usually manned by two people with the rear section able to carry specialized mission equipment. The ALPHA MOONBUGGY can be deployed onto the moon surface from an airlock or onto Earth-type planets from the cargo hold of an EAGLE TRANSPORTER. 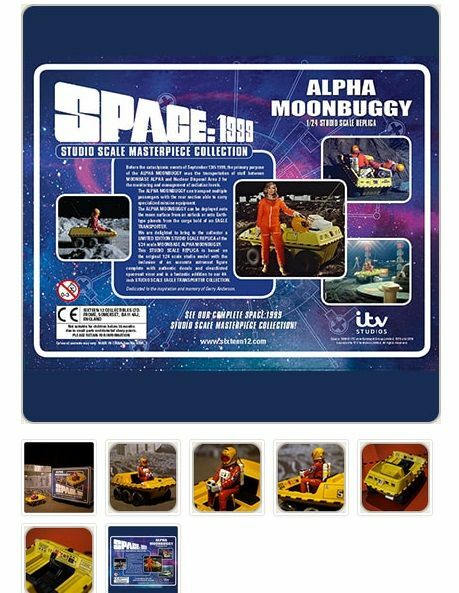 We are delighted to bring to the collector a LIMITED EDITION STUDIO SCALE REPLICA of the 1/24 scale MOONBASE ALPHA MOONBUGGY. Based on the original 1:24 scale studio model with the inclusion of an accurate astronaut figure complete with authentic decals and clear/tinted spacesuit visor.